A web framework for highly-interactive, realtime apps. Moksha is a highly-scalable platform for creating dashboards of live widgets. Moksha makes it simple for these widgets to extract and extend data from arbitrary resources. Moksha brings existing technologies together to create a next-generation web architecture that is designed to simplify the creation of create rich, live web applications that can easily bridge existing services.  Built using best-of-breed components, Moksha applications are written using stable pre-existing modules that allow for the rapid creation of powerful applications. Moksha acts as real-time messaging middleware for your web application, allowing you to publish and subscribe to message queues both on server and from the clients web browser. Full architecture documentation is available. Moksha has been tested on Fedora/RHEL, Ubuntu/Debian and OSX. However, since it's written in Python it should be able to work on almost all platforms. 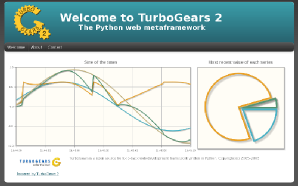 This demo will introduce you to working with Moksha within your existing TurboGears application through building a basic example dashboard with live graphs. Moksha is sponsored by Red Hat, Inc.
© 2008-2010 Red Hat, Inc. and others. The Apache logo is a trademark of The Apache Software Foundation.